Come and meet our wonderful Land Trains and let them take you on a dramatic cliff top journey between Sewerby and Bridlington. 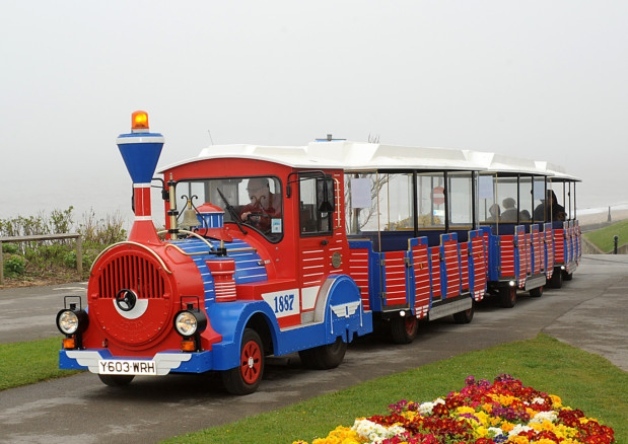 The trains run regularly throughout the day during the season, enabling you to combine a visit to Sewerby Hall with some time on the beach or a stroll along the promenades at Bridlington. Trains run every half an hour from 10.30am until 4.30pm (subject to weather conditions and seasonal variations). With disabled access and friendly drivers, this service rounds off a perfect day at Sewerby Hall and Gardens for both young and old visitors alike.